My friend Josanne showed me a picture of some "money cards" and asked if I could make some for her. She wanted to give them out as a thank you to people who helped with her wedding. Of course I was up for the challenge and gave it a try. Isn't that a fun way to give somebody some money as a thank you? Make it the main focus of the card! The sample she showed me said "thank you for making our day special." However; the theme of her wedding is baseball, so I "baseballed" it. "Thank you for making our day a home run!" I made this card like a postcard in that it doesn't open up. I typed the sentiment on the computer, printed it out, cut the layers, cut a slit for the money, and glued the layers together. It's super simple. The only tip I would give is to be sure not to put too much adhesive on the back of the white layer. The money is tucked into the slit in the white card stock and you can't tuck the money in if it's glued down everywhere. I just glued the two short ends of the white card stock. That's it. Quick and simple. Last week I was close to hitting 100 likes on my facebook page. As an incentive to help me reach my goal, I said that the 100th person to "like my page" would get a hand-stamped card from me. I'm happy to say that I've passed my goal and I'm well on my way to 200 likes! As promised, I made a hand-stamped card for the winner. I started with this great Viva la Verve sketch. I really like this layout. It's such a simple design, yet it's so pretty. My card looks a little washed out--sorry. I'm trying some new photo editing and photo taking techniques and I'm still working out the kinks. I used the International Bazaar DSP and paired it with the Blooming with Kindness stamp set. I stamped the sentiment, cut it out with a circle nestability, and then sponged around the edges before I removed the nestability. I finished it off by adding a scalloped layer behind it and some paper-piercing below the sentiment. I attached it to the card using dimensionals. This is definitely a layout I will be using again. A simple change of paper and sentiment and it would make a beautiful card for any occasion. I added some ribbon and some paper to the inside of my card to finish it off. I hope you enjoy your card Jo. Thanks for supporting me and thanks for stopping by! Today I pulled into my stamping stash so that I could make a Valentine's mailbox. I bought these mailbox tins years ago in the dollar section of a store. They have been collecting dust waiting for me to alter them. I don't have any current Valentine's Day packs of DSP, so I used the Polka Dot Parade DSP. The strip that wraps around the mailbox is 4" x 12". It fits perfectly. The only tricky part was getting the strip of DSP to fit around the "flag." I loosely wrapped the DSP around the mailbox (with the flag in the down position), lined it up nicely side-to-side on the mailbox, and marked where the metal post is that's attaching the flag to the mailbox (the silver circle at the bottom of the flag). Once I had it marked, I used the Circle Punch from the Itty Bitty Shapes Punch Pack and punched out the hole. I took a pair of scissors and cut a line from the closest edge of the DSP to the punched out circle. With some gentle coaxing, I wrapped the punched-out hole around the base of the flag and attached it to the mailbox using sticky strip. Even with a close-up look at the flag, it's difficult to see where I cut the DSP. For the front and back panel of the mailbox, I traced the shape of the panel onto DSP and then cut them out. I attached it to the mailbox with Sticky Strip. I also put a piece of Sticky Strip around the edges of the front and back panels and attached some ribbon. Of course I made sure that all of the seams from the ribbon and the DSP (the piece wrapped around the mailbox) were on the bottom so it looks nice. I finished off the front with a Rosette and a button. There's only two more days until Valentine's Day. Are you ready? If you need a quick, last minute card idea, this is for you. I ran the Pink Pirouette card stock through the Big Shot using the Stripes Embossing Folder. As you can see, I only embossed the bottom two-thirds of the card stock. I covered up the seam where the embossing ended with a piece of ribbon. I punched out the hearts from some card stock scraps and then added them to the card with dimensionals. That's it! This is a simple layout that would work for many different occasions. Change the card stock colors and change the hearts to flowers and you would have a great Mother's Day card. The possibilities are endless. Looking for other Valentine's Day ideas? Simply click here and see all of the Valentine's ideas I've shared on my blog in the past. Well, back to tending to my sick kid. The work of a mom is never finished. Thanks for stopping by! Over the past several months I've seen many of my friends post stuff about Pinterest. I didn't understand what it was nor why I would want to join. Now that I've given it a chance, I'm hooked! I love that I can find stamping projects that I like on the web and "pin" them on my Pinterest boards so that I can find them later. No more bookmarking all kinds of pages. I can even add notes about why I'm "pinning" the project/idea so I can go back later and try it when I have more time. It's not just limited to stamping either. There's tons of links to recipes, sewing patterns, landscaping, quotes, etc. I should have joined a while ago! Now that I'm on there (you can find me under Dannie Graves), I'm slowing adding my stamping projects to share with everybody. I'm trying to sort them under different categories to make things easier to find. If you like a project, simply click on the photo and it will take you right to that blog post so that you can find the directions, supplies used, etc. How convenient is that? Also, if you look at the bottom of each of my blog posts, you'll see a "pin it" button. Click on that and you can "pin" my stuff to your own Pinterest board so you can find it later as well. In looking around Pinterest, I found this fun project by Lisa Martz. The box was made from one of the Happy Hello Simply Sent cards that you can get FREE during Sale-a-bration! The pattern came from Julie Davison. This project was finished in less than five minutes. I filled a baggie with candy, tied a bow on it, and slid it in the box. It's a quick, inexpensive gift to give somebody as a simple thank you. I can't remember if you need and invitation to join Pinterest. If you do, just message me and I'll send you an invite. Thank for stopping by! I finally got my computer working again--yeah! Now that all of the wedding invitations have been mailed out, I can show you what I've been working on this past December and January. A few months ago, my friends asked if I knew of any place (company) that could make their custom wedding invitations. I told them that I run a card making business and I would be happy to see if I could make them. I love making elegant cards so I figured it wouldn't be difficult to make elegant wedding invitations. There was just one catch--their theme was baseball! How do you combine "baseball" and "elegant" into the same wedding invitation? It stumped me for a little bit, but after a few trial runs I came up with this. For the front of the invitation, I stamped the letter "B" for the groom's last name. The flap with the "B" on it opens to the right to reveal the invitation and the RSVP cards. Behind the vellum layer is a picture of a baseball field. If you look closely at the photo, the words "opening day" are flashed across the score board in the background. It coordinates with the wording of the invitation. The RSVP cards were designed to look like baseball tickets. They even have a "bar code" at the bottom of them. Of course they wouldn't be complete without using some baseball lingo. "Yes, we're stepping up to the plate." The entire invitaiton was baseball, including the return postage on the RSVP envelopes! The best part about making these wedding invitations was the weekend when they came to help put them together. We talked, we laughed, we ate, we watched sports, and we had a great time. If you or anybody you know is thinking about getting married, please keep me in mind. I'd love to help you with custom made wedding invitations, "save the date" cards, thank you cards, wedding programs, etc. Simply email me (Dannie@DanniesDesigns.com) for more details. Today my computer is giving me problems. I have taken photos of my recent projects, but my computer won't even recognize that I've plugged in my camera memory stick. I can't access my photos to even put them on my computer, let alone the internet. I will keep fiddling around and trying to fix it. In the mean time, a few reminders. Friday, February 8th is the final deadline to sign up for my Heart Treat Container Class. Those of you who signed up for the class, I have put all of the materials in the mail. If you sign up between now and Friday night, I will put the materials in the mail this weekend. If you'd just like to purchase the tutorial, you can order that at any time. There's no deadline. Also, don't forget that it's Sale-a-bration! For every $50 you spend, you get to pick a FREE item. Click on the photo below for more details and to begin shopping. If you sign up to be a demonstrator during Sale-a-bration, you get 25% more products free. 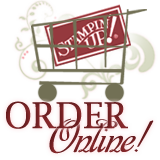 This is the best time to join Stampin' Up! Click on the photo below for more details. I'm off to try and fix my computer. Hopefully it's something minor. I have some great projects to share with you so be sure to stop back by. Thanks for stopping by!